If you craft something and want to sell your handmade products the internet is the best tool you can have to organize your business. All you need is the website. 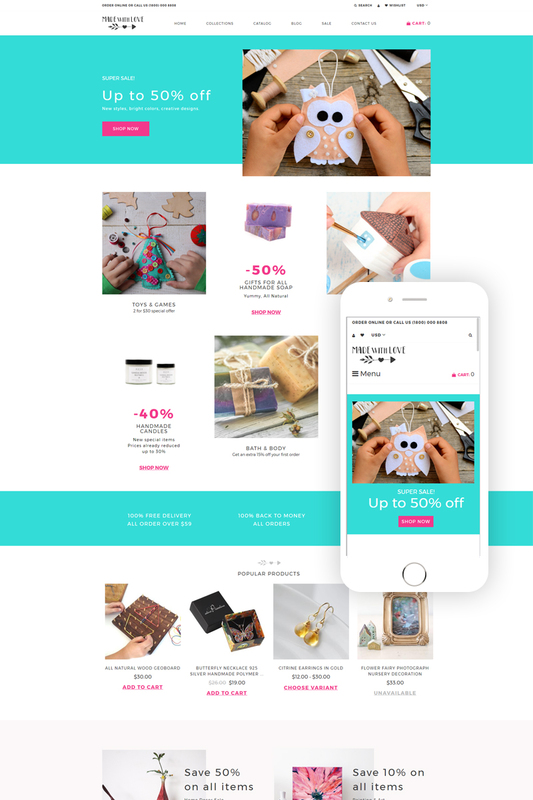 And Made with Love Shopify template is a great choice for you. 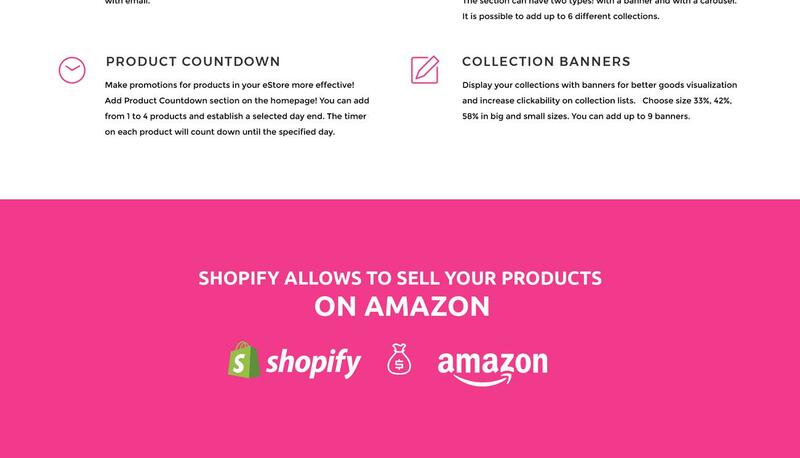 It provides you with full Shopify e-commerce pack that allows you to install currency options and provides your website with cart, wishlist, and other useful e-commerce features. It has a creative design made by professionals. Moreover, this design is fully editable and you can change it without coding skills. You can accept digital payments and use a blog to inform clients about the latest news and new products.